Posted this one earlier on AP. Title is from the unofficial tribute album "Voices of The Lifestream" called Serenity which is part of disc two: Dirge. Browse Final Fantasy VII: Crisis Core Gallery: Recent | Popular. This is such a great work of art love it! whoa this looks helluva epic. 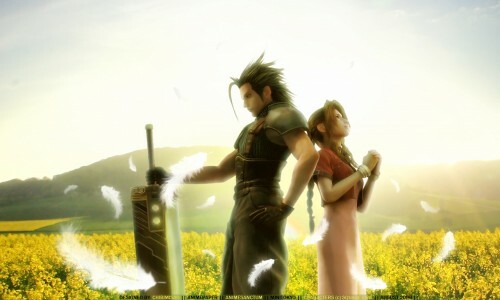 Zack never met Aerith in pink did he? nice wallpaper. thanks a lot. This looks so heavenly. And having two of Final Fantasy VII's angels be in it, is just perfect. I love this wallpaper. Very nice!